Everyone has heard of Biblical Literalists, who hold every word of the Bible to be the exact and literal truth. At the other extreme, there are some people who believe there is no truth to be found in the Bible at all. This is a good example of the "Excluded Middle" fallacy -- the misguided notion that proving a statement to be false is equivalent to proving the opposite statement to be true, with no shades of grey between. In the case of the Bible, the view of the "non-literalists" is that the entire Old Testament was written as a work of fiction by a Jewish scribe in the 4th or 5th century BC. Descriptions of events taking place centuries before this time are, according to this interpretation, mere fabrications. References to "real" cultures (i.e. cultures that even skeptics admit existed) such as those of Egypt, Assyria, Babylon and Persia, are nothing but scene-setting in what is effectively a historical novel. But what if the references went the other way? Are any of the major Biblical characters mentioned in records left by undeniably "real" cultures? The answer is that in at least two cases they are. There are two Assyrian artifacts in the British Museum, which I saw on my last visit there a couple of weeks ago, that provide explicit references to two of the more important kings mentioned in the Second Book of Kings. So much for the über-skeptics and their "nothing in the Bible is true" theory! 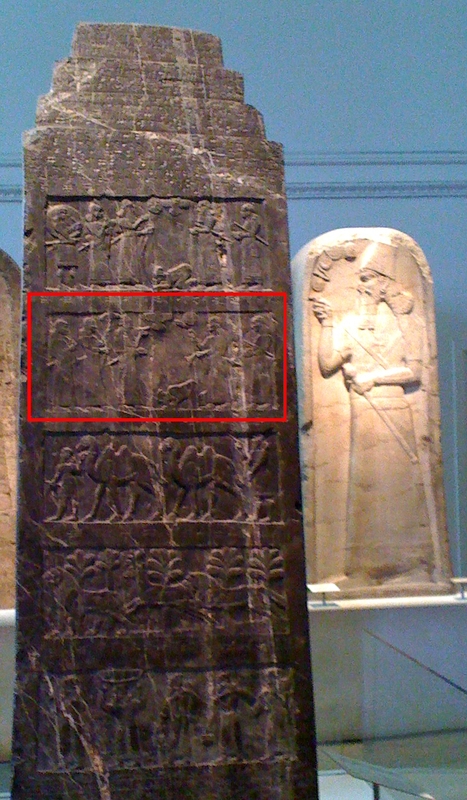 The picture on the left shows the two-metre high Black Obelisk, which was discovered at the archaeological site of Nimrud near Nineveh in Northern Iraq in 1845. The obelisk was carved during the reign of Shalmaneser III, who was king of Assyria from 859 to 824 BC. It shows a number of scenes from the life of the king, complete with captions in cuneiform script. 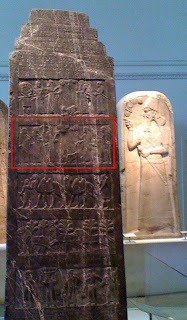 The second panel down (outlined in red) shows a figure kneeling in homage to Shalmaneser, with a caption reading "Tribute of Jehu, Son of Omri". Jehu reigned over the Northern Kingdom of Israel (the one that was famously "Lost", as in "Lost Tribes of Israel") from 841 to 814 BC. He wasn't literally the son of Omri, but Omri was an earlier king of Israel so "son of Omri" is just a metaphorical way of saying "of Israel". Jehu is the subject of Chapters 9 and 10 of 2 Kings... although the account there neglects to mention the fact that he knelt in tribute to King Shalmaneser of Assyria! The second object (depicted on the right) is the so-called "Taylor Prism", which was unearthed at Nineveh by a man named Taylor in 1830. 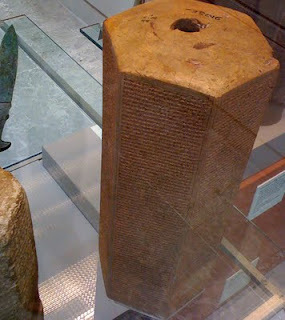 The cuneiform writing on the prism provides accounts of the first eight military campaigns of Sennacherib, king of Assyria from 704 to 681 BC. 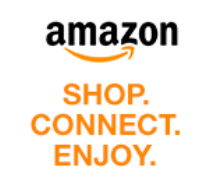 The second of these accounts deals with another important figure mentioned in 2 Kings: Hezekiah, who reigned over the Southern Kingdom of Judah from 715 to 686 BC. By this time the Northern Kingdom had already fallen to Assyria, while Judah survived as a vassal state. King Hezekiah tried to lead a revolt, by calling on the aid of the Egyptian Pharaoh Taharqa, but this came to nothing. Sennacherib launched a vicious attack on Judah and its capital Jerusalem, as recounted in 2 Kings 18. The attack is described by Sennacherib himself on the Taylor prism: "The terrifying splendour of my majesty overcame Hezekiah... he, like a caged bird, I shut up in Jerusalem, his royal city." Hezekiah was forced to pay tribute to Sennacherib -- a fact that is mentioned both on the Taylor prism and (perhaps surprisingly) in the Biblical account as well. So at least some parts of the Bible are non-fiction!